Smile Team Dental is committed to giving you the beautiful smile you deserve! Our premier dentists Dr. Kirk Quigless or Dr. Jon Sones offer custom-crafted partial and full dentures in Belleville, IL. Dentures are artificial dental devices that can replace all or some missing teeth. We'll personally meet with you to determine the best types of dentures for your dental needs. Full dentures are fit to replace all of your upper and lower teeth whereas a partial consists of metal framework and is supported by the remaining natural teeth. 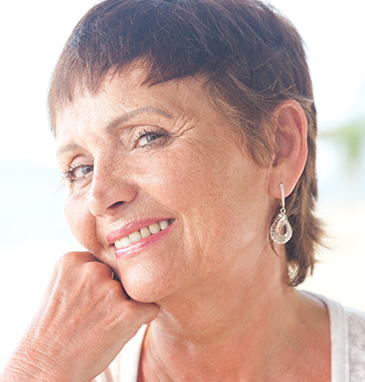 We custom-fabricate dentures to feel and look as natural as possible. During the first few weeks, it may feel uncomfortable to eat or speak; however, over time you'll become adjusted to your dentures. Dr. Kirk Quigless or Dr. Jon Sones are always available if your dentures feel too bulky and loose. If you're experiencing soreness, irritation, discomfort or excessive saliva, then call our office immediately. Make an appointment with our denture specialists in Belleville today! We replace teeth in the surrounding areas of Swansea, Fairview Heights, Edwardsville, Collinsville, Saint Claire, Madison County, Cahokia, Granite City, Shiloh, Dupo, Scott Air Force Base, O'Fallon and Alton, Illinois.